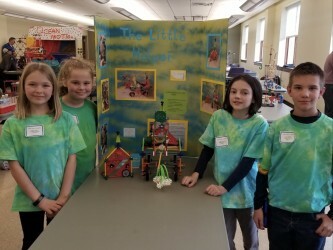 K’NEX teams from Howard and Wingate elementary schools placed second and fourth at this year’s regional K’NEX Design Challenge held at Lock Haven University-Clearfield campus. The four-student team from Howard, called System Overload, placed second; the three-student team from Wingate, called the Eagles, placed fourth. The K’NEX Challenge is a STEM-based design competition that encourages students to create different devices using K’NEX. In their first ever time participating in the K’NEX Challenge last year, the Howard team made it to the state competition in Harrisburg, after placing first at the regional competition. 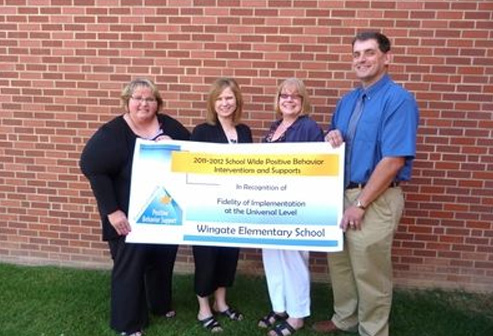 A team from Port Matilda Elementary School placed third at regionals – also their first time competing last school year. This year, a total of 29 teams participated in the regional competition, including 12 teams from elementary schools in central Pennsylvania.